Interest rates are all around us. We deal with them when we buy a car (with help from a car loan) or a house (with help from a mortgage). The interest rate determines how much we might earn on savings accounts or bond funds. Interest rates also impact the stock market – and therefore anyone who has money invested in it. Here, we’ll take a look at how and why changes in interest rates typically affect stocks, what those changes mean for investors, and what other factors you should be paying attention to as you become an even more engaged investor. 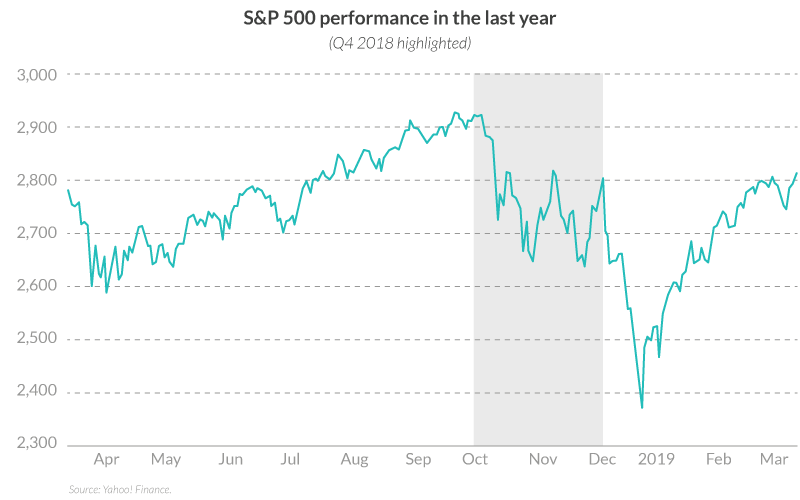 The fourth quarter of 2018 was a rough one for stocks across all market sectors: after months of volatility, the S&P 500, for example, shed 14.4 percent. While dozens of factors influence stocks from one day to the next, some politicians and members of the media were quick to blame the Federal Reserve and its interest rate policy for this particular slump. Higher interest rates mean businesses are less likely to borrow money for growth and expansion, which means there will be less growth in the near future. This causes investors to value stocks less, which can lead to market losses. Lower interest rates mean businesses are more likely to borrow money for growth and expansion, which means there are greener pastures ahead. This causes investors to value stocks more, which can lead to market gains. But what’s really fascinating is that when the Fed announces a change in interest rates, the stock market often reacts immediately, even though it would take months for changed rates to actually affect business performance. In other words: the stock market’s initial reaction to interest rate announcements is purely anticipatory. Even though the interest rates themselves haven’t had time to affect the actual economy, investors think they know what’s coming and trade in such a way that causes stock prices to either rise or fall. In the short term, in other words, interest rates affect the stock market primarily because of investor sentiment. But it’s important to keep in mind that not every sector is affected in the same way by interest rates. Financials (banks, real estate investment trusts, etc.) and Consumer Staples (food, beverages, household items, etc.) are expected to underperform. That’s because financial companies earn revenue from high interest rates (think banks) and consumer staples are considered non-discretionary, meaning people need and use them roughly the same regardless of other economic cycles. It’s not like you only buy dinner when you feel richer. Industrials (companies that produce materials related to construction) and Cyclicals (companies that produce discretionary goods and services) tend to outperform. This happens because spending in these sectors is less essential to everyday life. When times are good and money is cheap, people build more and have more discretionary income to spend. In other words, interest rate changes affect different economic sectors based on how companies in those sectors earn revenue. So what can you, an engaged investor, do with this information? One strategy is to manage your risk by diversifying your portfolio. This means investing in Exchange Traded Funds (ETFs) that track various economic sectors: some ETFs for industries that tend to do well during times of lower and falling interest rates and some ETFs for industries that tend to do well during times of higher and rising interest rates. 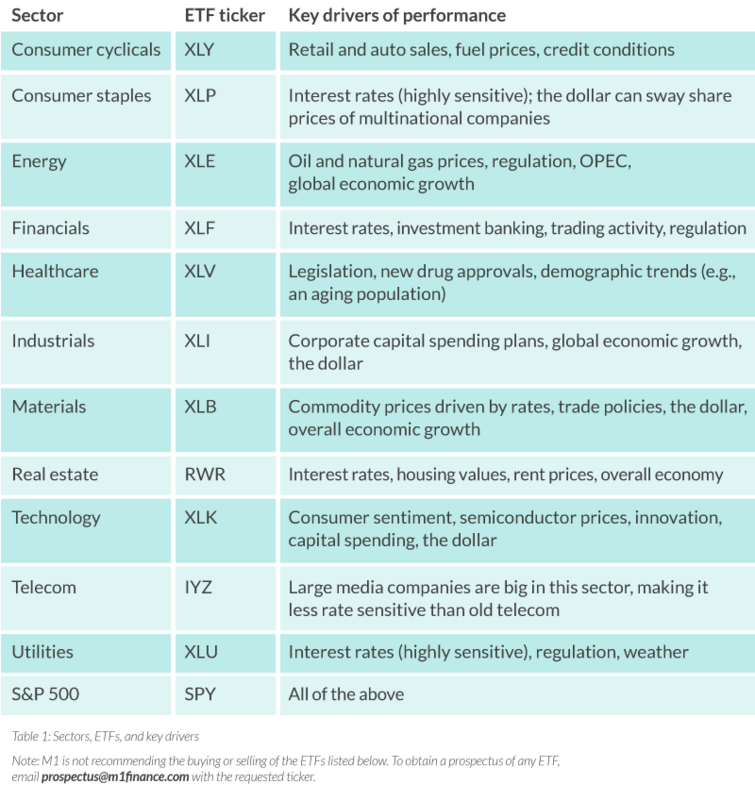 See the table below to get a sense of which commonly traded ETFs track which economic sectors and what some of the main drivers of performance are. As you can see, interest rates are not the only factor driving the market from one day to the next. Each sector has other catalysts and drivers. Think of it like a cocktail menu – each drink has its own mix of ingredients. Adding some ingredients or removing others could make it stronger or weaker. Diversifying your investment portfolio by including investments from various sectors helps maximize the odds that your portfolio as a whole will continue to grow regardless of cyclical economic forces. Interesting, right? Let’s go a step further and look at how all this has played out in the real world. The last decade or so offers a fantastic illustration of how interest rates can affect the performance of the stock market. 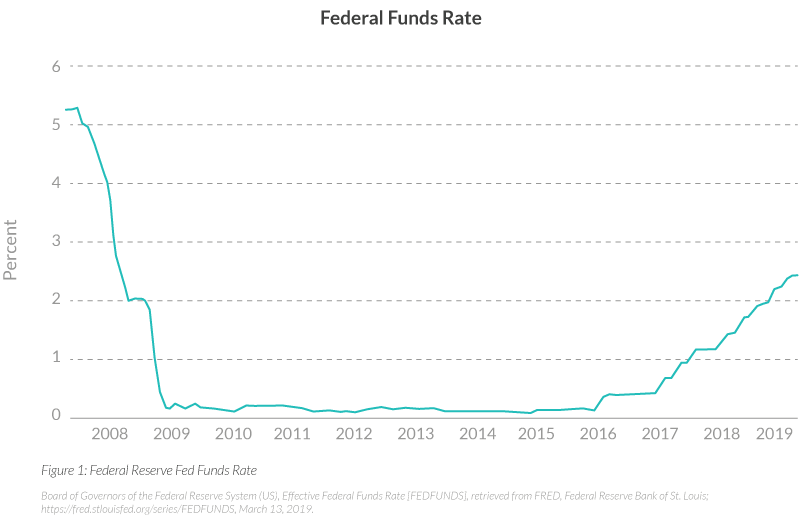 Check out the graph below, which shows the Federal Funds Rate from just before the financial crisis of 2007 – 2008 through late last year. The Federal Funds Rate is controlled by the Federal Reserve Open Market Committee (FOMC), which typically adjusts rates in .25-percent increments. While the Fed Funds Rate is not the only interest rate that affects the economy, it’s the one people usually refer to when they discuss an interest rate increase or decrease. See that long trough in the graph where the Fed Funds rate was right around zero (.25 percent)? That was the Fed’s response to the economic crisis of 2007 – 2008. The Fed lowered interest rates to stimulate borrowing and economic investment. Then, when the US economy was showing steady recovery in 2015, the Fed started gradually increasing the interest rate to prevent inflation. These rate adjustments affected various sectors of the economy in different ways. 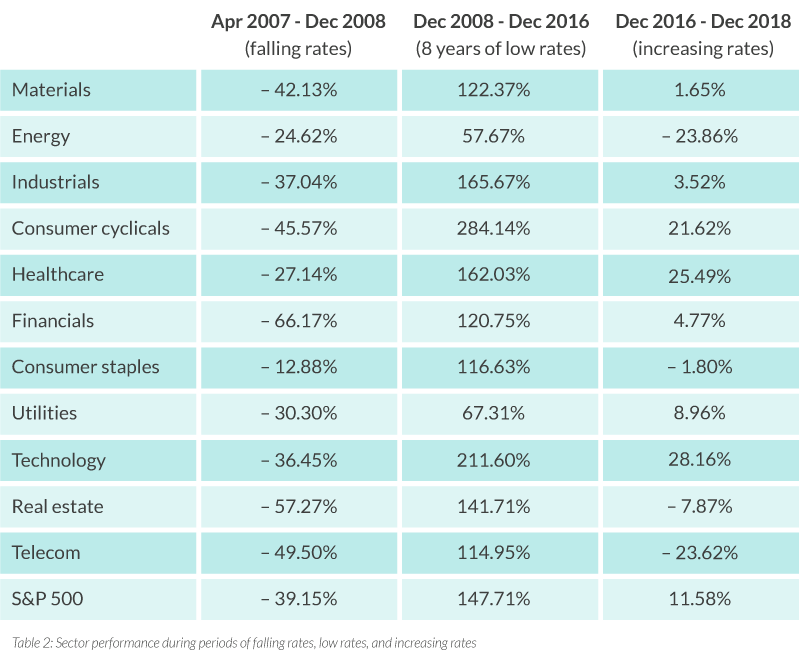 To see those effects, check out Table 2, which illustrates how each sector performed during a period of lowering rates (May 2007 to December 2008), when interest rates were near zero (December 2008 to December 2016), and when the Fed was increasing interest rates (December 2016 to December 2018). Note that financials suffered the biggest losses during the period of lowering interest rates, falling 66 percent. That’s consistent with the notion that falling rates are a negative for the banking group. In this case, however, the carnage was widespread, with a number of groups dropping 30, 40, and even 50 percent. As you can see, the Fed left interest rates unchanged for nearly eight years. The S&P 500 nearly tripled during that time. As the economy improved, Consumer Cyclical names (“names” = companies in stock-market speak) and Technology led the advance. Industrials and Healthcare were leading sectors as well. Energy and Utility names clearly lagged. Still, it was a good period to hold stocks, as the Federal Reserve’s aggressive rate cuts of 2007 and 2008 helped pave the way for a longer-term bull market. Fed officials are now on a tightening path. They hiked interest rates most recently on December 19, 2018, when the FOMC raised the target range for the Federal Funds rate to 2.25 – 2.50 percent (2.375 percent midpoint on Figure 1). What’s really interesting about this period of increasing rates is that financials (which, again, are expected to outperform when interest rates are higher) are lagging. Higher-dividend-paying companies in sectors like telecom, consumer staples, and real estate also underperformed. The key takeaway for investors: you’ll have to look at factors beyond interest rates to understand what’s going on in the market. As you can see in Table 1, interest rates are just one of many factors that drive sector performance. Oil and gas prices, for example, are the dominant driver of performance for energy names. And laws, regulations, innovations, the strength of the dollar, and even weather patterns can also impact a company’s performance. What’s important to remember about all of these factors, though, is that they are only proxies for the main consideration: company earnings. The stock market responds to these things immediately – before they can have any chance to affect the larger economy – because investors are anticipating the eventual impact they’ll have on companies’ earnings. So what’s an engaged investor to do? Pay attention to interest rates, but understand that they’re just one factor influencing company performance, which, at the end of the day, is measured by earnings. All product and company names are trademarks™ or registered® trademarks of their respective holders. 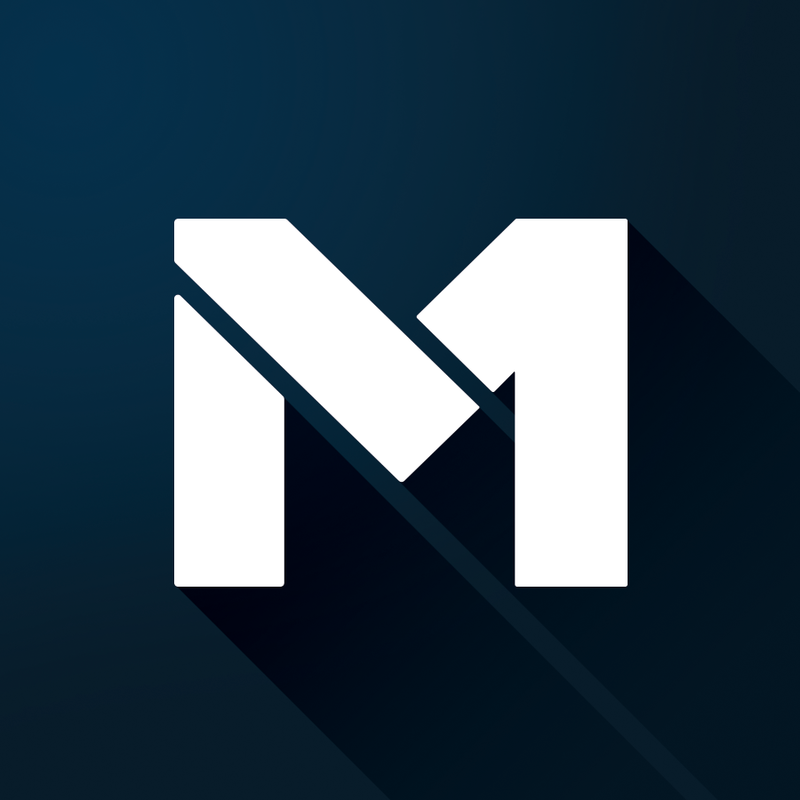 Use of them does not imply any affiliation with or endorsement by them.Email: support@m1finance.com Telephone: 888-714-6674 Address: 213 W Institute Pl, Ste. 301, Chicago, IL 60610© Copyright 2019 M1 Holdings Inc. Transferring your money to a new brokerage may sound like a hassle, but it doesn’t have to be. 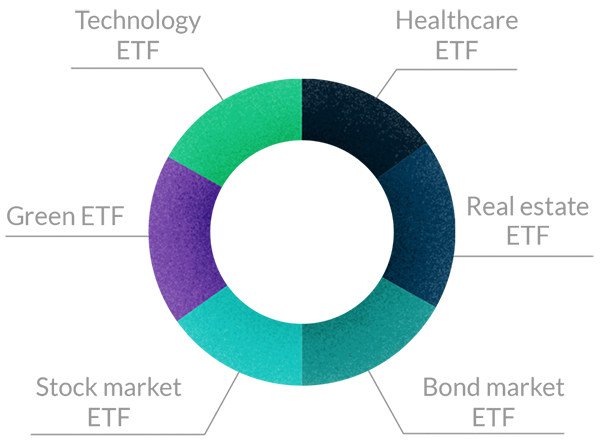 Find out why upgrading to a no-fee platform may be easier than you feared.